There are two books by my bedside that I’ve been reading over the past few weeks. It didn’t dawn on me until this morning that my reading of these two books at the same time, the fact that I would check them both out with their juxtaposition between intuition and logical data, actually provides a perfect snapshot of my INFJ Myers-Briggs personality. 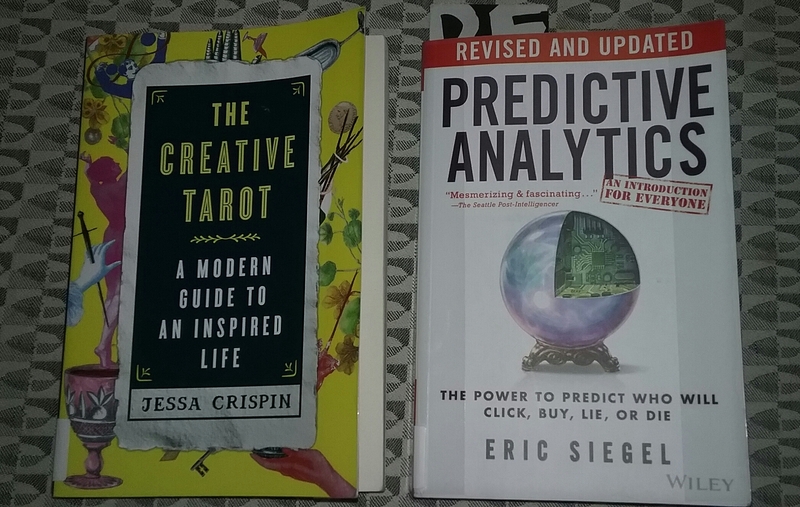 The two books are The Creative Tarot by Jessa Crispin and Predictive Analytics by Eric Siegel. The Creative Tarot by Jessa Crispin and Predictive Analytics by Eric Siegel. INFJs are intuitive, but because they are also high on judgment, they like systems, order, and practical solutions. The Creative Tarot takes a different perspective from any other book I’ve read on tarot, using tarot to provide inspiration and feedback for one’s creative life. I appreciate that it does away with the mumbo-jumbo woo-woo, gonna-tell-your-future version of tarot, where you have to be afraid, very afraid, if you pull the Death card or the Tower. Obviously, when reading tarot cards, particularly in relation to a creative life, your intuition plays heavily in your interpretation. And we INFJs are all about the intuition. Predictive Analytics is all about the ways we can use hard data to help divine the likelihood of things happening under particular circumstances, like crime, car accidents, mortality, or whether I’m more likely to click on the orange button versus the blue one in an online ad. 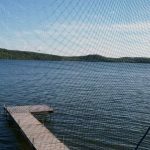 That feeds the INFJ’s need for order and systems and provides data to help drive practical solutions. Interestingly, this book is more about actually predicting the near future than the book on tarot, which is meant to help you figure out what you are thinking and feeling about a situation in the now. Funny how that works, eh? We look at tarot as being superstitious and old-world, but here we are, still trying to figure out how to foretell the future, only we think we’re so enlightened because we’re using hard data. We mustn’t forget that intuition is still a useful tool just because we now have the tools to crunch a lot of data. What books speak to your Myers-Briggs personality type?